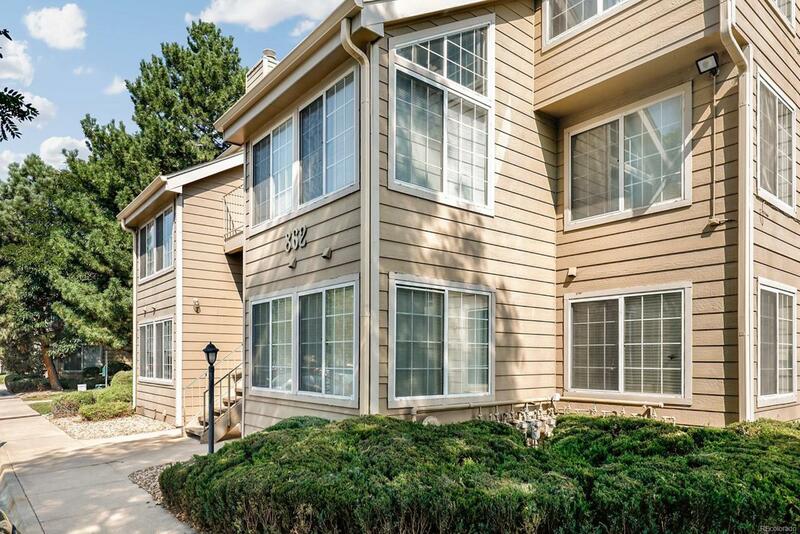 Spacious ground level condo in one of Lakewoods most desirable locations! Belmar Shopping Center offers shops, restaurants, bars, and entertainment; all within walking distance. Gleaming hardwood floors are complemented by the large windows that circle the room, introducing stunning natural light to the unit. Clean kitchen with a functional layout, expansive counter space, breakfast bar, and formal eating space. Enjoy the open layout with wood fireplace and access to the private covered patio. Double doors lead to the master suite with generous walk-in closet and attached bathroom. The second bedroom is currently used as an office. Belmar Park and Weir Gulch are only a 10 minute walk away. Easy access to 6th Ave makes commuting a breeze!